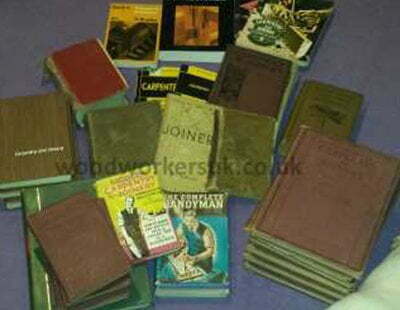 Welcome back to our final look at Carpentry and Joinery terminology. This last part looks at all the terms from V through to Z. Want to be able to point to your weep hole or be able to spot a wobble saw at twenty paces? Then read on for more interesting and informative terminology! Knowledge is power! Boards carrying the lead to form a valley gutter in roofing. The rafter at the intersection of two roof surfaces meeting internally. It corresponds to a Hip Rafter for two roof surfaces meeting externally. A facing of very thin superior timber used to cover inferior timber. Veneers are sawn or peeled from timber of a highly ornamental appearance, which is either useless for constructional work, and why it is necessary to make the carcase of another inferior timber, or in some cases, where the timber used in the veneer would be too expensive for mass produced items, such as Oak veneered doors etc. A small saw used for cutting veneers. A window frame with two mullions and three pairs of sashes. A wide guard bead at the bottom or a frame (for sliding sash windows) that enables the bottom sash to be raised without causing a draught. An alternate name for a Barge Board. A panel in the form of a pointed oval. The sides of the panel consist of two circular arcs. A small room just inside the entrance to a building, forming a screen or protection to an inner room. Carvings that imitate vine leaves. Refers to Oak boards that have been cut radially to produce ‘silver grain’. Wall panelling to a room which usually to the lower part of the walls. In Carpentry and Joinery this refers to a board or piece of timber that on one edge has the bark and/or natural shape of the tree. In Woodturning, Waney Edge refers to the timber that has only the natural shape of the tree and no bark showing (with the bark becomes Natural Edge). A horizontal timber that sits on a wall to distribute the pressure from joists or spars. Usually it lays on a bed of mortar and is fixed to the inside of the brickwork by the means of wall plate straps. The string of the stairs that is directly against the wall. Timber in which the pith is not straight and which causes outcrops of the heart on the face of the converted timber. This timber is not as strong as it would be if it were straight grained. Not having a true, flat, plane surface. Overlapping boards used for fences and sometimes cladding. They are cut on the bevel, so that one edge of the boards is thinner than the other. Forming a bevelled or sloped surface to throw off moisture. A tapered piece of wood to give gradually increasing pressure. A small hole in the bottom rail or cill of a window to allow moisture to escape. The decay of timber due to alternate wetting and drying of timber. A small personnel door formed within a larger gate. Also known as a ‘Judas’ gate. Radiating steps, narrower at one side than the other. A horizontal shelf fixed to the cill of a window frame. A joiners’ compass which has a circular arc fixed to one leg, passing through a slot in the other leg. Used for marking out in circular work. A type of saw blade that is used to cut a groove and is designed to wobble whilst spinning, so that the kerf is greater than the thickness of the blade. Traditionally used on circular saws, but outlawed to due safety concerns, and now only legal to be run on a spindle moulder in the UK. Also known as a ‘drunken saw’. The fibrous part of the tree beneath the bark. Once cut down and converted for use in the joinery and construction industries it becomes Timber (or Lumber in America). Not a worm but the larvae of wood boring beetles. The holes traditionally left in timber following a woodworm attack are flight holes as the larvae exits the timber. Timber that has been planed or machined in some way. The study of trees and wooded plants. Also known as Dendrology. A solid window frame, one half of which is fitted with a sliding sash. An insert used to close up the clearance gap between a circular saw blade and the table, called zero clearance as the gap for the saw blade is as tight as possible and is created by the saw blade itself. Can be used in finer work to avoid the breaking out of the material being cut on the side directly against the table. Shown right is the normal clearance gap between the circular saw blade and the table; with a zero clearance insert, this gap is closed up to a minimum. The black lines in spalted timber which are demarcation lines between different colonies of fungi as they advance through the timber. Carpentry and Joinery glossary of terms A to Z, Part 4 this time looking at H to K.